Poor Android. Even after becoming the most popular smart phone OS in town, mean ol&apos; aesthetes keep picking on its democratic design quirks. 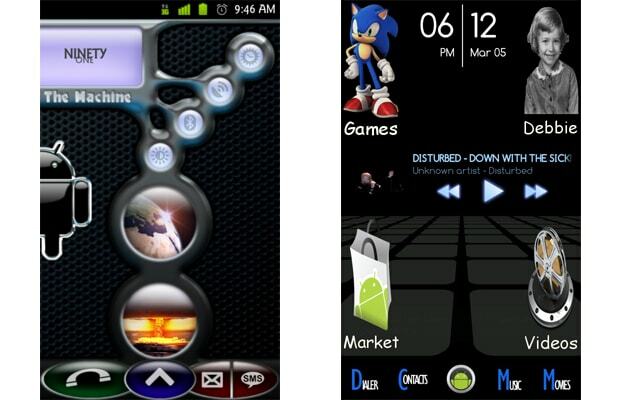 The new Tumblr blog, Fugly Android, (we&apos;re guessing run by Apple fans) spotlights daily screenshots of some admittedly hideous Android homescreens and app interfaces. The unsightly displays, made possible by the Google-run platform&apos;s comparatively lax developer standards, amount to what Fugly Android calls "arguments for closed systems" like iOS. Sure, democracy may not always be pretty; but at least it gets you Flash. Am I right?